We are an Amazon household, from tablets to Fire TVs to various Echo devices. But when my Amazon Fire TV stopped streaming movies from my Plex media server, I decided to buy the Roku Ultra 4K Streaming Player. And I like it much better than the Amazon Fire TV. 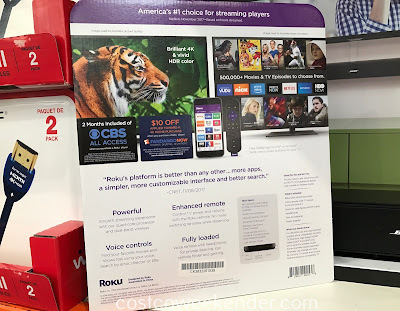 I like the simplicity of the Roku's home screen. It just shows you large icons of the apps that you curently have installed. I don't feel like I'm inundated with a bunch of ads for movies that I still have to pay for to watch. The Fire TV seems to try to push Amazon content down your throat by displaying a bunch of icons for movies, games and other content from 3rd-party providers like HBO and Showtime. And the Fire TV's new interface makes it difficult to find your apps. I prefer the Roku's simple user interface. And, more importantly, the Roku can stream movies from my Plex server perfectly! As an added bonus, the Roku remote can power on/off your TV and control its volume. I with Amazon built that functionality in its remote. 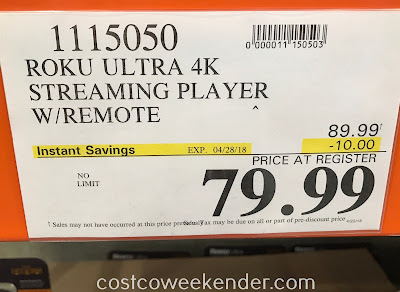 The Roku Ultra 4K Streaming Player from Costco also comes with an HDMI cable and 2 months of CBS All Access free. Both of which didn't come with the Roku Ultra that I bought outside of Costco. Star Trek Discovery fans will appreciate CBS All Access. 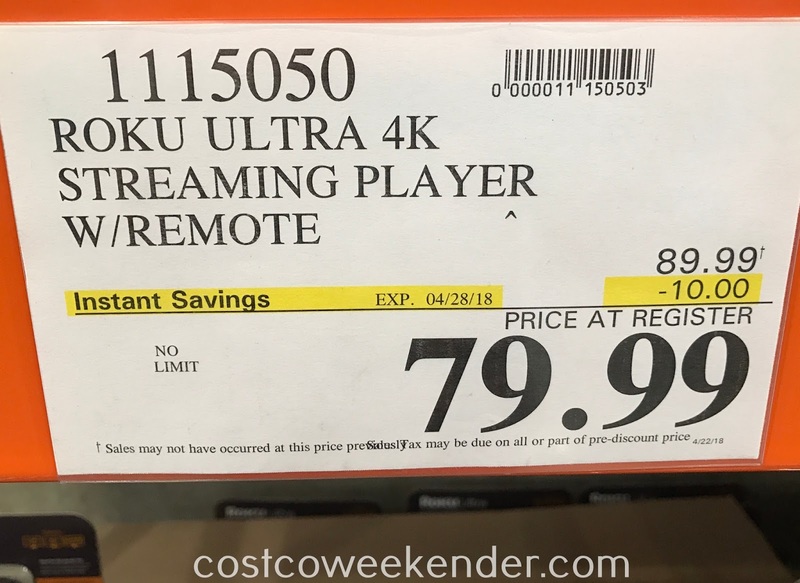 So for streaming 4K, 1080p and 720p content, look no further than the Roku Ultra 4K Streaming Player. 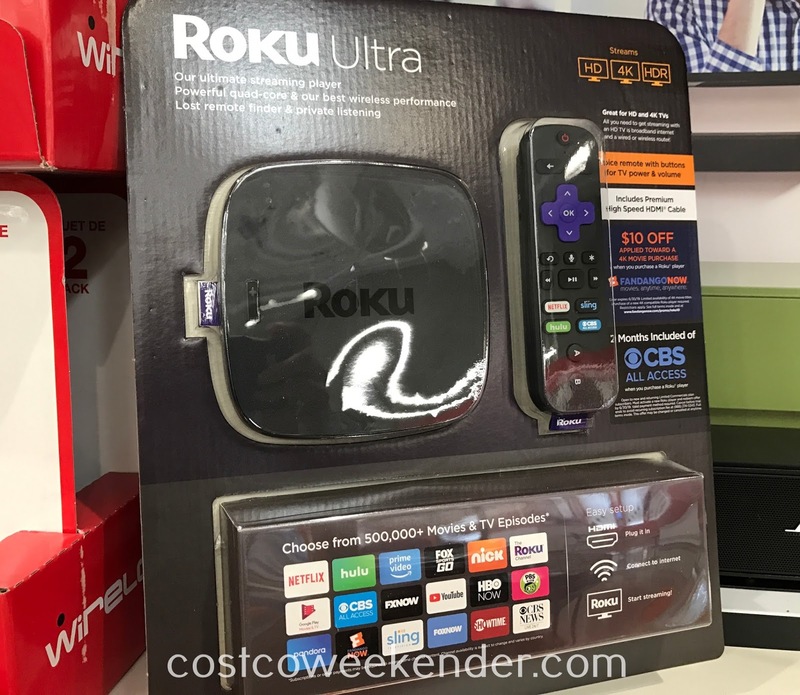 Control TV power and volume with the Roku remote. No more switching remotes while streaming. Find your favorite movies and shows fast using your voice. Search by actor, director, or title. Voice remote with headphones for private listening, lost remote finder, and gaming.